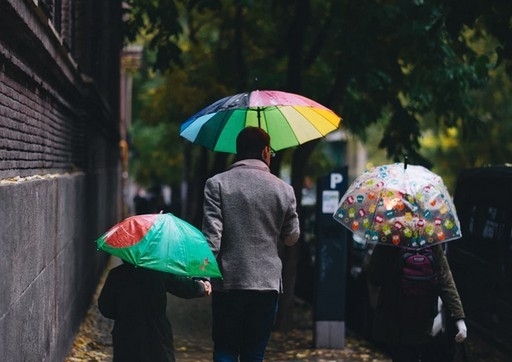 Keep the bad weather form raining on your parade with these top promotional umbrella picks. What better for the autumn months than to give your employees compact umbrellas to promote the brand while staying dry between meetings. Australians seem to be the only people in the world who know it does rain in Australia, and sometimes it REALLY does rain! Make sure your team isn’t left out in the cold (and rain) with these fun size brollies. They are perfect for a professional appearance with a dark exterior but colour on inside to keep them cheerful in the gloomier months. We think these are the perfect umbrella for giveaways because they are just so cool. Make sure your branded umbrellas are noticeable and individual with a pop of colour. With these brollies, no matter how dark the rain cloud, they will still stand out. Having seasonal and eye-catching umbrellas means more use and more opportunities to be noticed out on the rainy streets this autumn. If compact umbrellas just aren’t big enough or you want to make a bold statement, these are the umbrellas for you. Their colour and pattern mark them out in any crowd and will demonstrate your brand makes fashionable and quality choices. The fact that the pattern looks like an autumn leaf is just a bonus! Safe to say this is my favourite pick of the bunch.